Each webinar is priced at $250. A special discounted price of $500 is available for anyone who registers for all 3 webinars. As an added bonus, the programs in the webinars in this series have been approved for continuing education credits by ABA and ICB* so those of you working towards earning your CRCM or CLBB have the opportunity to earn credits toward certification. 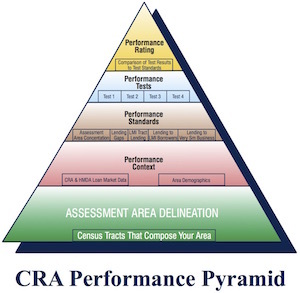 Defining your Assessment Area – Your Most Important CRA Decision! Why your Assessment Area construction is your most important CRA decision! What are the 3 fundamental steps of building your best Assessment Area? 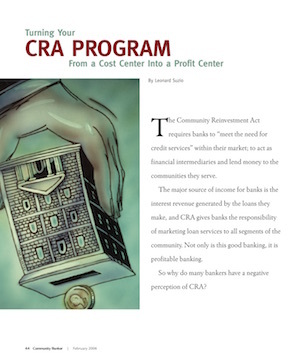 Developing a Successful & Profitable CRA Program - listen to expert Len Suzio and banker Diane Farrell who put this webinar’s principles into practice to create a profitable CRA Program that earned an “outstanding” CRA rating! Is your Bank’s lending volume adequate? How can you get increased credit for small business and community development activities? 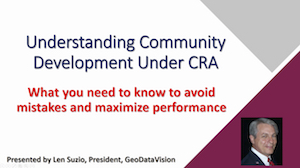 How important is Community Development to passing a CRA Exam? 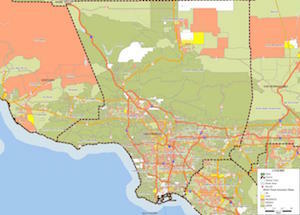 What exactly is “Community Development” as defined in the Regulation? What are the 3 essential components of Community Development Documentation?